April books bring post-apocalyptic futures, growing up superheroic, and more young-adult dystopia! What do April's books have in store for you? Naomi Novik's superhero high school, Frederik Pohl's volcanic terrorism plot, and two disturbing looks at a near-future post-apocalyptic world. Plus superpowered parents and the African Harry Potter! Here are all the books you'll be buzzing about in April. Between the incredible pressure to succeed and the constant kidnapping, it's tough being a superhero's kid. As an adult, Celia Ward has worked hard to build a normal life, despite her parents being the globally venerated Captain Olympus and Spark. But just when she thought she was out, they pull her back in. Their arch-nemesis the Destructor is brought to trial, bringing Celia back into her parents' world and forcing her to confront some long-buried family secrets. A brilliant, albino African-American relocated to Nigeria, twelve-year-old Sunny is quite the misfit. But upon finally making a couple of friends, she discovers she has undeveloped magical potential and finds her place among fellow students of the "visible" and "invisible." The words "African Harry Potter" definitely come to mind. What if Yellowstone erupted? It's such an insane thought, it's hard to believe it hasn't inspired more science fiction novels. Veteran writer and editor Frederik Pohl takes on this terror-inspiring possibility in his latest. American refugee Brad Sheridan is eking out a living in Italy as indentured servant in a theme-park-like commemoration of the eruption of Pompeii. He's also dangerously close to uncovering a horrifically ambitious terrorist plot. American culture often envisions itself going out with a bang, in an alien invasion or the Rapture or something similar. Instead, Soft Apocalypse imagines the nation wearing down under the strain of slowly depleting resources. With familiar social structures evaporating, a group of young highly educated people bands together and attempts to carve out a new place for themselves in a landscape of abandoned mini-golf courses. But post-plenty America is a brutal, dangerous place, and there are genetically engineered viruses that may change us forever. Robert Sawyer brings his "sentient Internet" trilogy to a close with WWW: Wonder. The Webmind, an artificial intelligent that arose from the depths of the internet, has changed the world in all kinds of ways, like curing cancer. But the US government still sees the A.I. as a security threat and assembles a team of Pentagon hackers to fry its brains. That means that, once again, it's up to teen genius Caitlin Decter to protect her friend. Temeraire creator Naomi Novik does manga! And superhero high-school manga, no less. 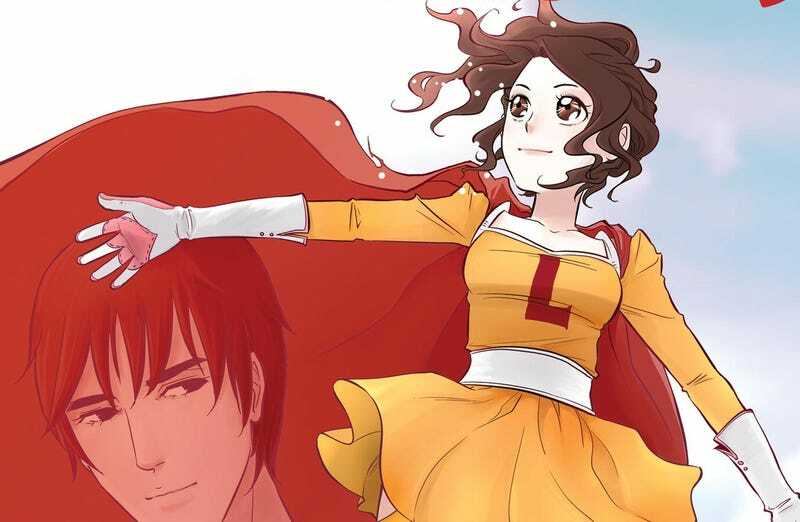 Leah Taymore is a student a Liberty Vocational, attempting to master her atom-manipulating powers. But she's afraid she can't hack it, and she's supershy over dreamy classmate Paul. Plus, there's a supervillain running around. Morden's near-future is a complete disaster. St. Petersburg is a smoldering ruin and the US is a theocracy. Samuil Petrovich lives in the London Metrozone, the last city in a borderline-anarchic UK, and attempts to stay uninvolved and out of trouble. He tries to rescue a beautiful woman and it all goes to rot. Theoretical physics plus action equals win. Check out our review here. As the twelfth Foreigner novel opens, Tabini-aiji is returning to Bujavid, the Western Association's seat of power with his heir, Cajeiri, and his paidhi, Bren Cameron. But while the civil war is over, the opposition and the danger it represents hasn't disappeared entirely. In YA, dystopias are the new vampires. Enclave stars Deuce, a teen living in an underground city so tough that you don't even get a name until you hit your fifteenth birthday. As a Huntress, its her responsibility to fight the murderous Freaks and acquire meat from the outside world. But the Freaks are evolving and organizing, and she's stuck with partner who's dreamy but completely unable to follow the rules. What would it take for grownups to love dystopian fiction as much as teenagers? George's father passes away and bequeaths his son a watchmaking business. The young man has little interest, but an attempted burglary draws him into intrigue and time travel and sexiness. Angry Robot is bringing out a new edition of this steampunk classic, adding a lovely cover and an afterword by Jeff VanderMeer. The Mr. Shivers author is back, with a tale of horror set in an alternate 1919, in a city wholly owned and operated by the McNaughton Corporation. Between building guns dangerous enough to head off World War I and airships that allow easy global travel, the company is essentially all-powerful. Cyril Hayes is dispatched to sort out a murder and finds himself in smack in the middle of building tensions between the company and its workers.